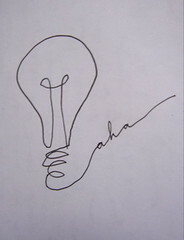 i need a few more of these "aha" moments today. it is hard work to (try to) be creative all the time, and i'm starting to feel like my reserve is running quite low, as far as creativity goes. but this is what i'm here at risd for, to push until i cry and then push some more, and realize that i've messed up and find out why. and maybe, every so often, i will be blessed with one of those out-of-nowhere explosions that you can't even believe ever fit into your mind. so for now i'll just keep scratching away.